Give your head a layer of protection with the Flat Ring Round Riveted Chainmail Coif. 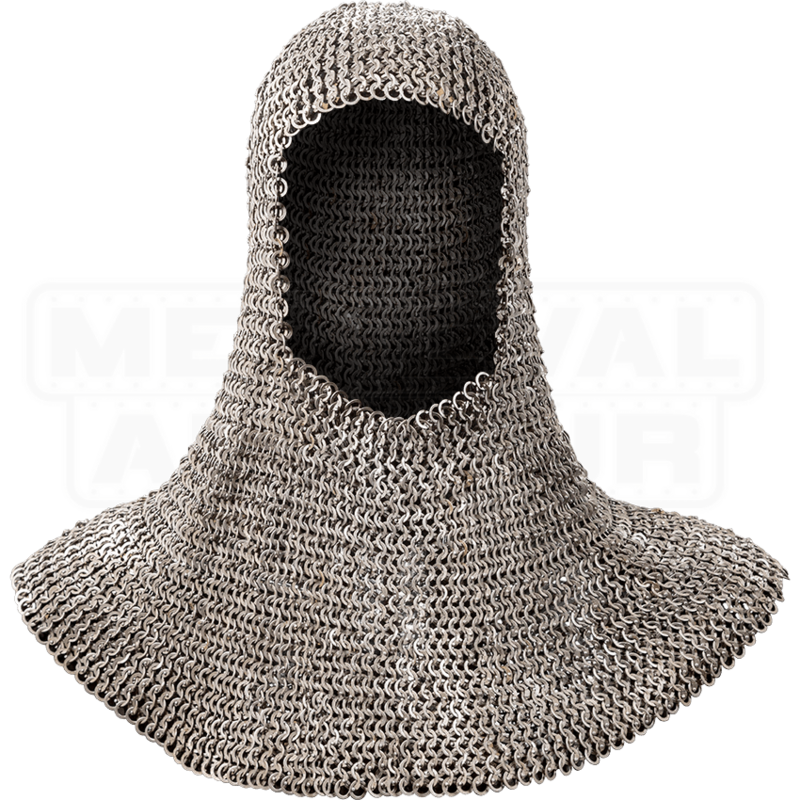 This medieval coif is made of 18 gauge steel rings woven in a traditional 4-in-1 pattern, and it covers the head and neck down to the shoulders. The face is left uncovered for visibility, ventilation, and comfort. Each ring is flat, which allows for a tighter weave, and is closed with a rivet for extra security. 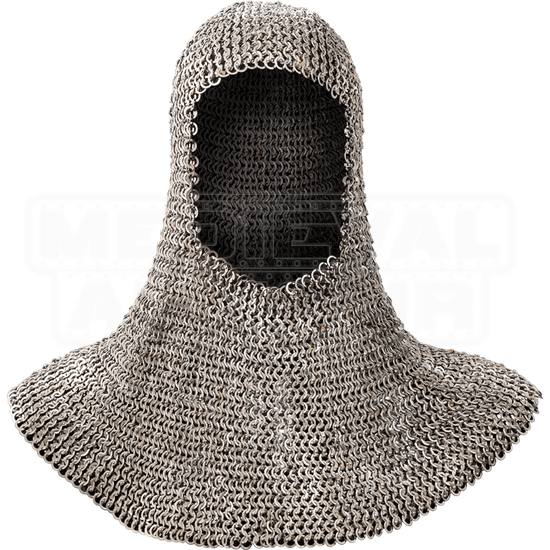 Great for Vikings, knights, soldiers, and more, this steel chainmail coif is suitable for LARP, light reenactment, and costume use.